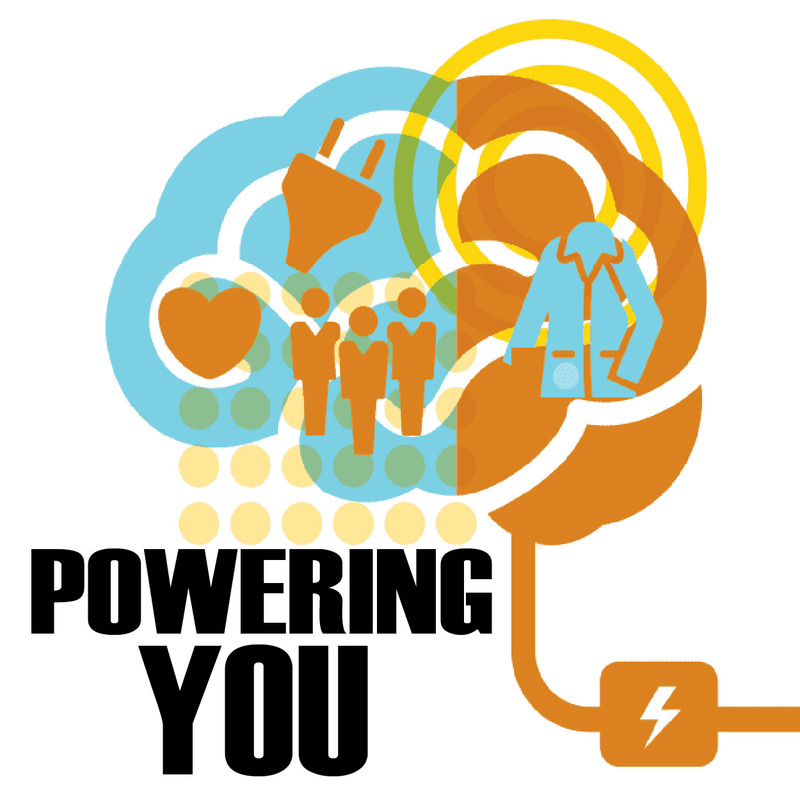 Discover how the LAFP/AAFP helps you power your career and specialty. Be a part of the medical society dedicated to Family Medicine. The 2019 Legislative Session begins April 8, 2019. 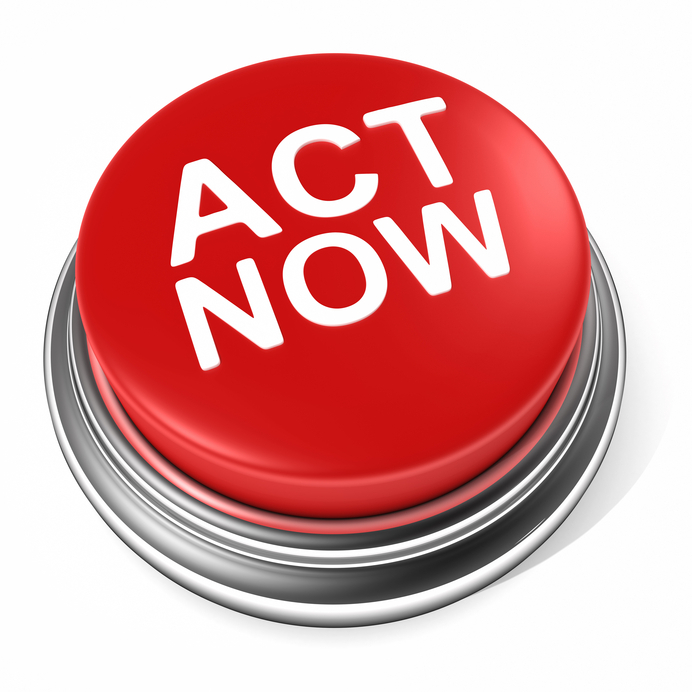 Opt in to Receive Legislative Alerts and other Important Information from the LAFP. 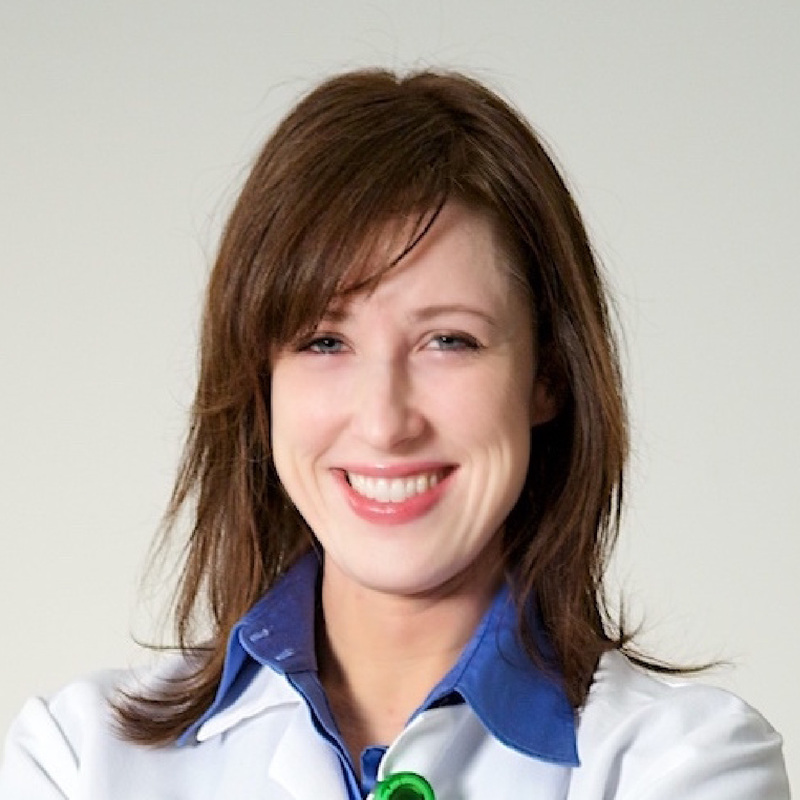 Dr. Emily Holt serves on the LAFP Legislative and Advocacy Committee and currently practices on the West Bank with Ochsner Health System. 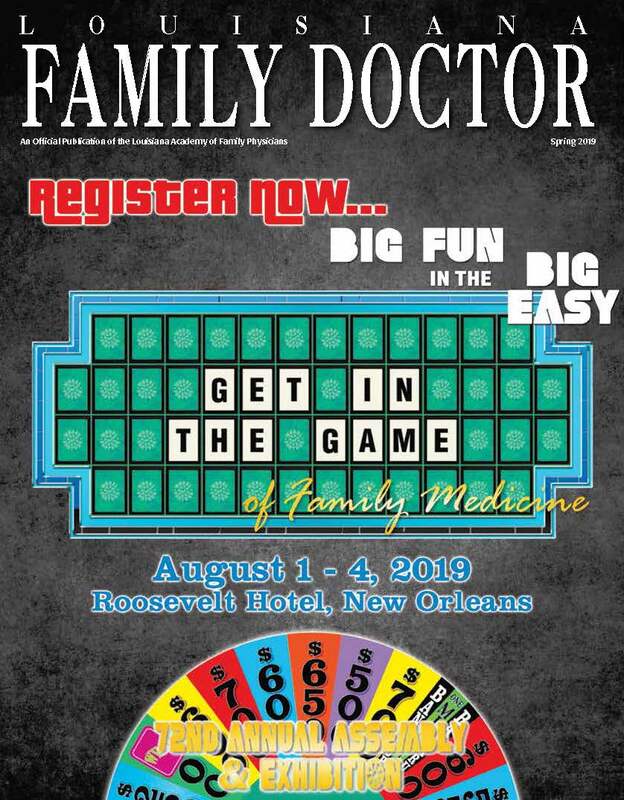 The Louisiana Academy of Family Physicians is asking its members to sign up to be "Family Doctor of the Day" at the Louisiana State Capitol during the 2019 Legislative Session. The LAFP invites you to participate in the Annual White Coat Day at the Capitol in Baton Rouge. This opportunity will allow you to join colleagues at the state capitol, gain information about the issues affecting family medicine and your patients and dialogue with state legislators and administration officials. 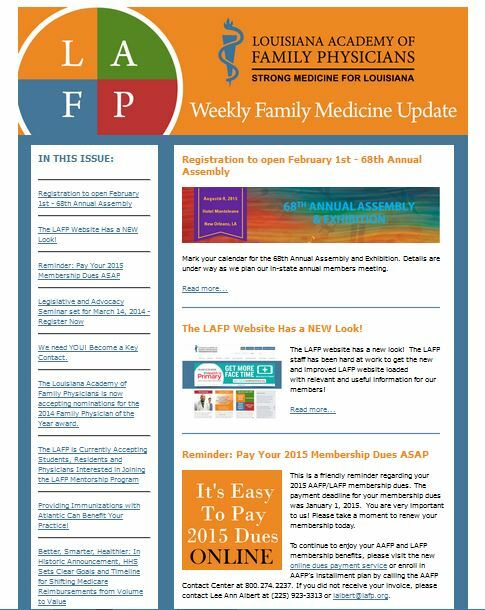 The LAFP Weekly Family Medicine Update is an LAFP membership service intended to provide timely family medicine information to your e-mail inbox. The newsletter contains information about healthcare legislation, partnerships, conference opportunities and other need-to-know member news. Louisiana Family Doctor is LAFP's quarterly journal. Subject matter includes features on sports medicine, healthcare legislation, medical journal reviews as well as a range of other topics that affect family physicians. Click here to read the latest edition of Louisiana Family Doctor.